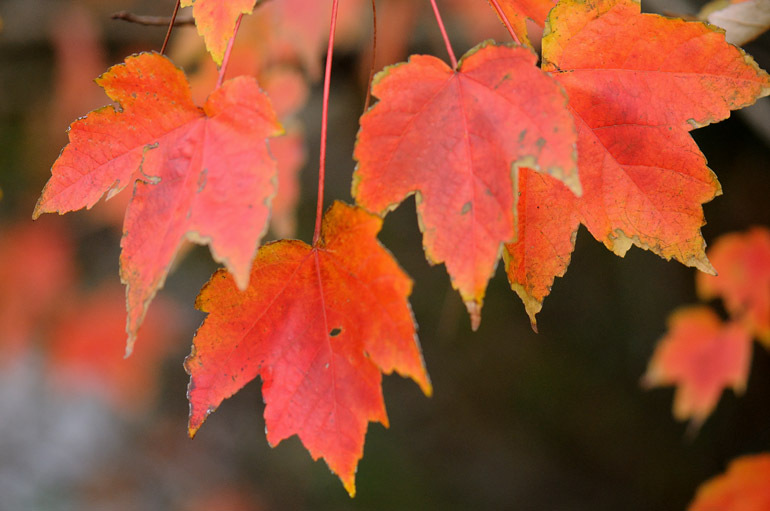 Florida maple leaves turn a bright red along Parkway Drive in Melbourne. Many posts on The Offlede are driven by my own longing for home - for the sights, tastes and activities I grew up with in Maine. I flew there in October to take photos of fall foliage. I spent 20 days in December looking for signs of Christmas here in Florida that reminded me of the traditions I'm accustomed to during the holidays. And in the past two weeks, my search for ice and snow started here in Central Florida and ended way up north in mountainous West Virginia. There's more to come on that later. Sometimes, though, I just lose track of what lies under my nose here in Florida. Yes, the climate is subtropical, but there are elements of the north that still survive here. There are no apple trees or sugar maples, the things I frequently associate the autumn season with. We do have Florida maple trees, though. They don't provide the brilliant color that northerly varietals do, but it's something, and it's something that reminds me of home. This week, during my daily jogs, I noticed that the trees along my route were changing colors. 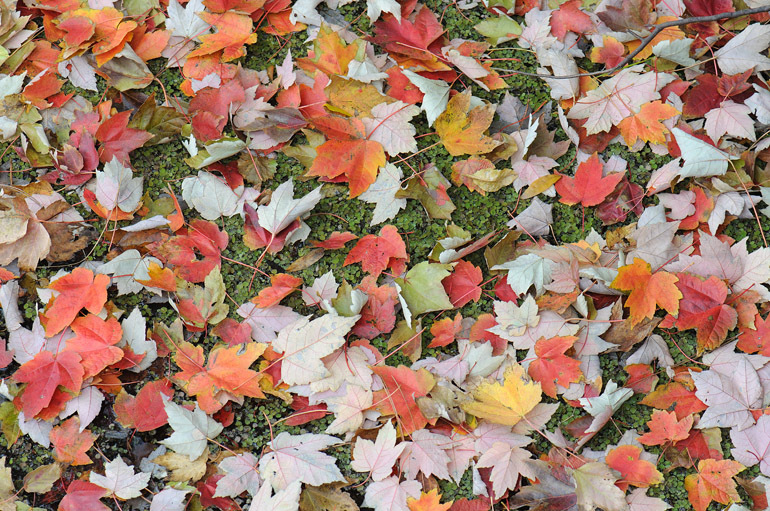 One was a nearly fluorescent yellow and blanketed a home's lawn with fallen leaves. 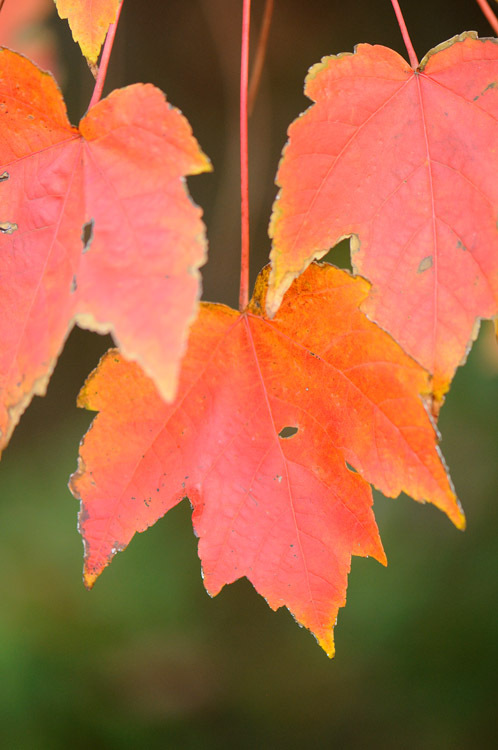 The Florida maples, situated along a water-filled ditch, turned to a solid red. I took may camera out yesterday to record that fall indeed does show itself in Florida, however subtle - and late - it may be. Maybe this place isn't so bad after all. 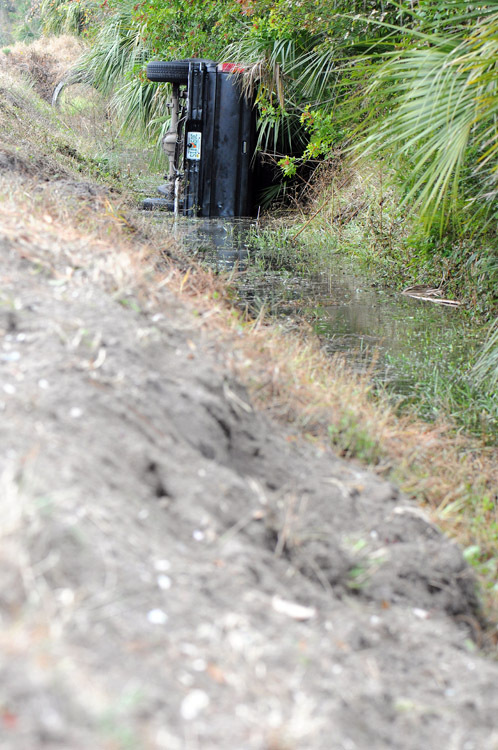 After living here for more than two years, I'm beginning to notice the less dominant aspects of Florida's environment. Once I got beyond the shock of encountering palm trees at every turn, I saw the pine trees and maples, such as this one, that are reminiscent of my childhood in Maine, the "Pine Tree State." Fallen leaves cover the surface of a ditch. The leaves weren't the only things in the ditch. This single-car accident happened just as I arrived to take photos of the trees. The lone driver was unhurt. 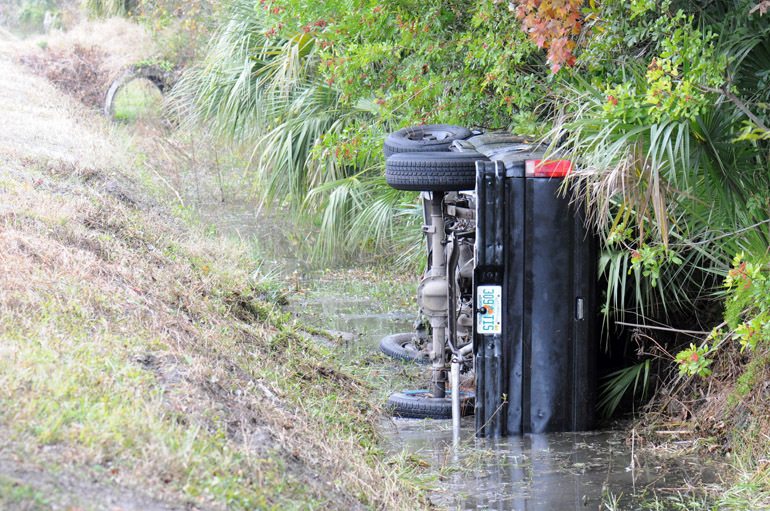 The young motorist became distracted, hit this soft embankment and flipped into the ditch.